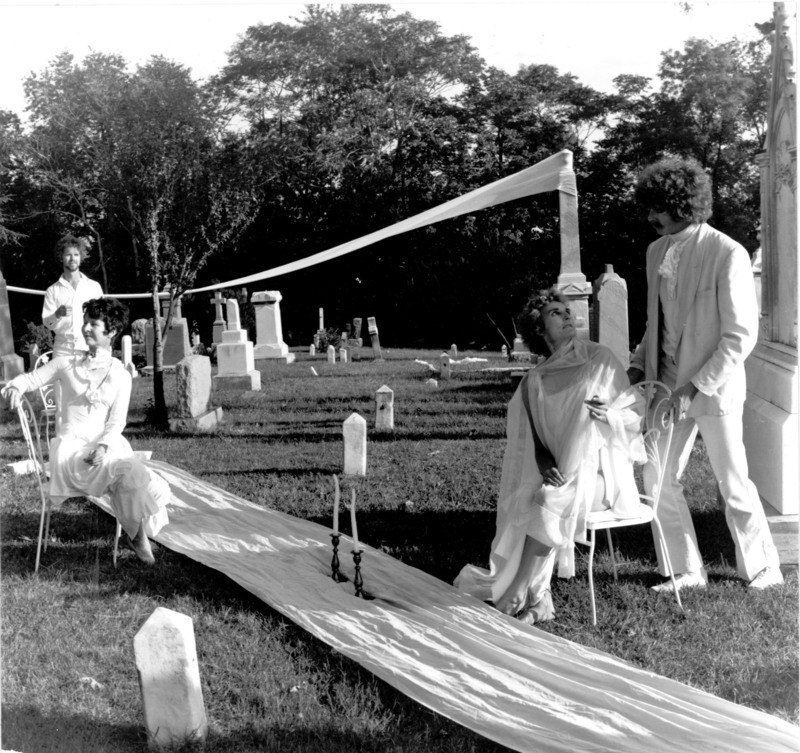 1975 – A 60 minute site specific performance at Holy Rood Cemetery located in upper Georgetown in Washington, DC at dusk. Holy Rood is one of the oldest cemeteries (1832) in Washington, DC. 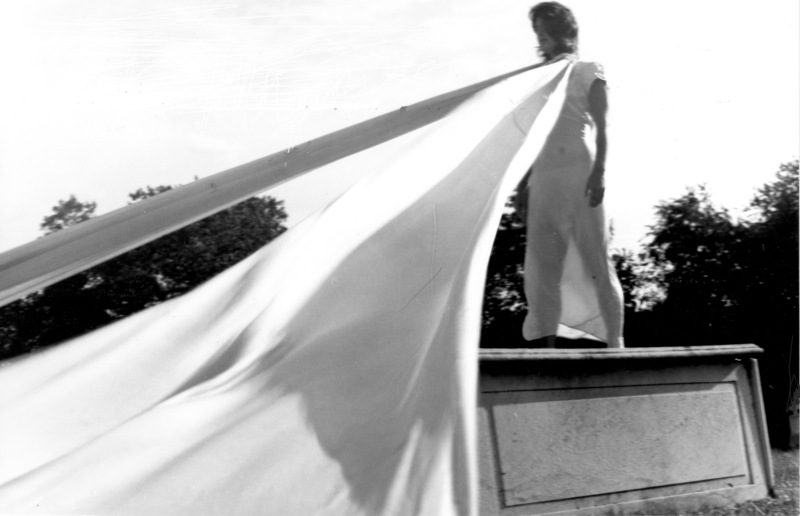 White Mansions was performed at dusk for two evenings by Brook Andrews, John Bailey, JoAnn Sellars, Betty Tittsworth, Maida Withers, and 10 additional community and university dancers in 1975. 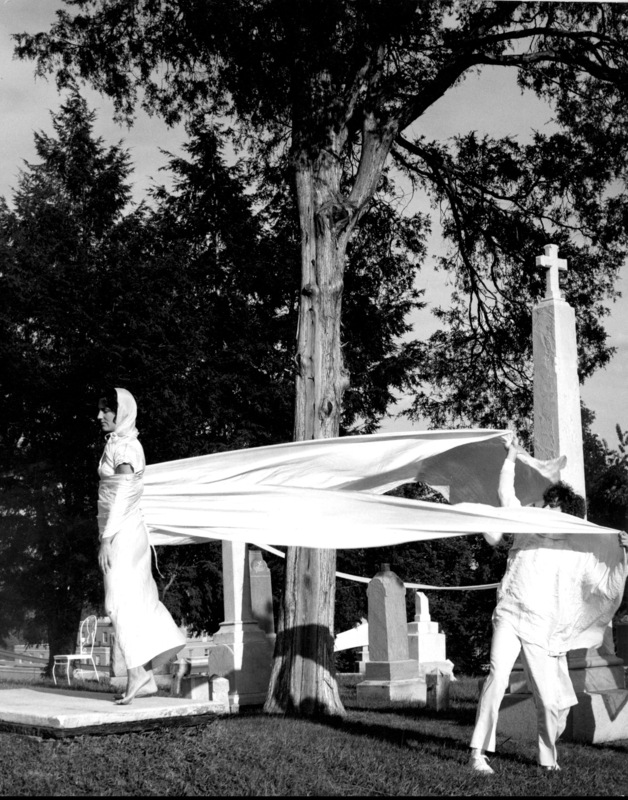 For the Saturday performance hundreds of yards of white stretch fabric had been installed through the trees, around the tombstones in the cemetery. Fabric was brought from Connecticut where Maida and JoAnn had been in a residency with Artists-in-the-Schools National Program. 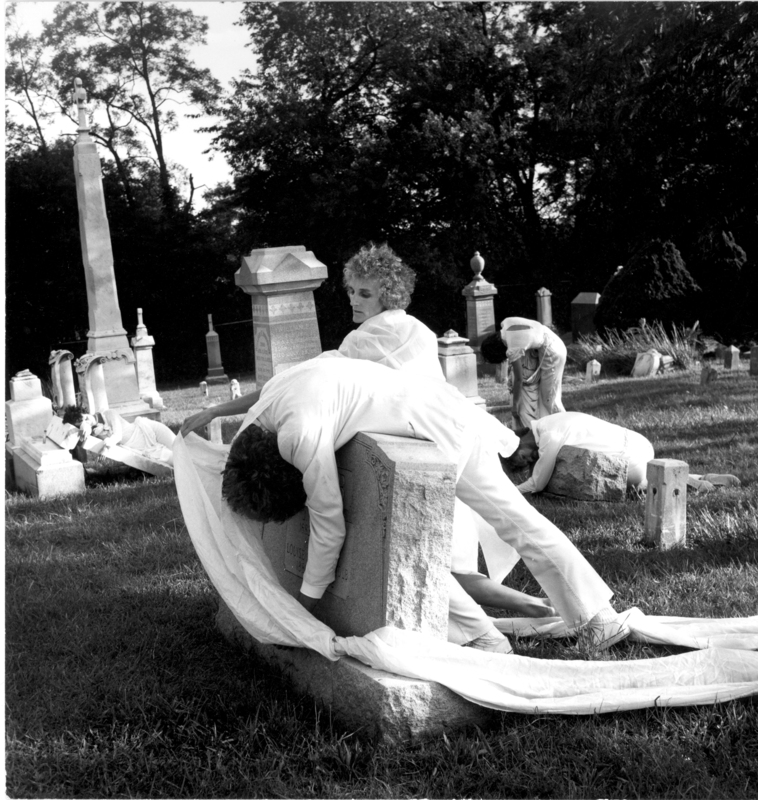 The fabric was stolen from the cemetery overnight and unavailable for the Sunday performance consequently. A long white piece of silk served as a connector throughout the piece as it became a wedding veil, a table for celebration, a wrap for death. Several children and adult performers were in the cemetery carrying flowers and playing in white clothes engaged as if they lived there. This work began when we were assisting in renovating the space for WPA on G Street in downtown Washington, DC. The silk cloth was found in a box there. We started the idea of the disappearance of “the South” (USA) by designating four historic characters (Rhett Butler, Cat on a Hot Tin Roof, Tom Sawyer, and the “death” figure.) The cast departed the cemetery in a gold Rolls Royce leaving the audience in the cemetery in the dark. The Washington Post covered the story in two pages. A performance also took place at the newly occupied Washington Project for the Arts space on 1227 G Street NW, Washington, DC. 1975.